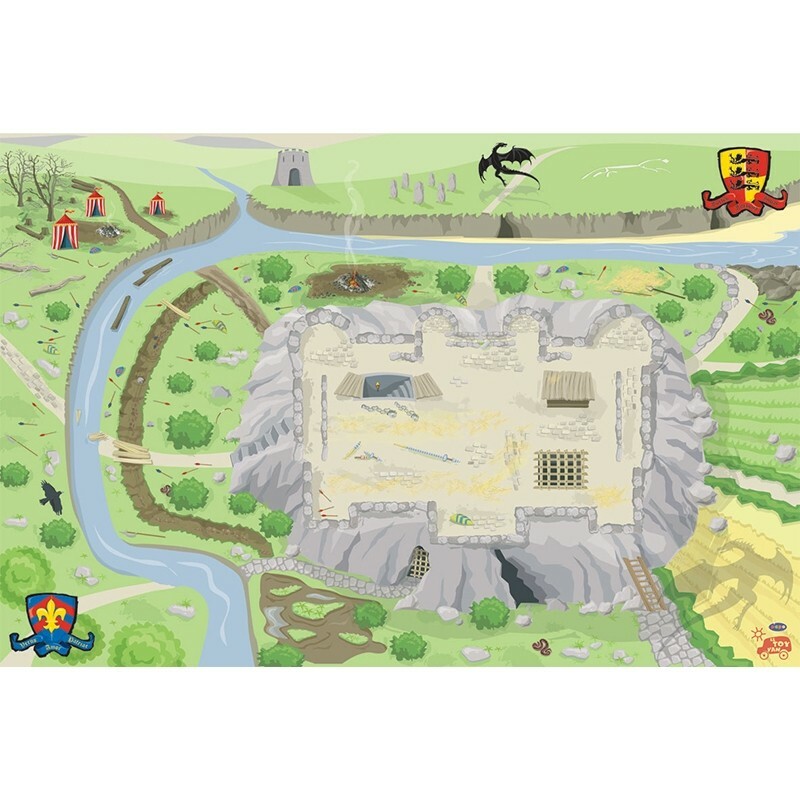 Giant castle playmat 100 x 150 cm. Features a ruined castle base with surrounding river and battleground debris with the three lions and fleur de lis crests in opposing corners. Perfectly scaled for Le Toy Van's separately available and extensive range of castle playsets, figurines and accessories.